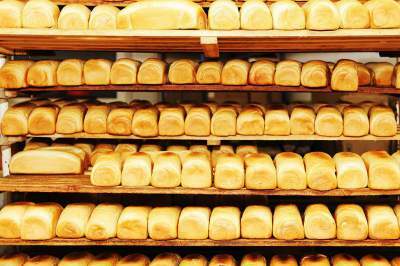 A development economist, Dr. Shino Adewale has advised the federal government to quickly enter into discussion with the Premium Bread Makers Association of Nigeria (PBMAN) to avoid further suffering of Nigerians should they embark on planned product price hike. PBMAN had at a press briefing on Monday warned that they may be forced to jerk up prices considering the steady rise in costs of baking ingredients which they said may push bread prices up sooner than later. Adewale argued that “Shocks in the price of any strategic fast moving consumer goods (FMCGs) in a generic economy like Nigeria are capable of causing serial disruption that can fire up hyper inflationary trends”. “Such dent will further crash previous efforts of the government in tracking and stabilizing inflation in Nigeria. Explaining more, the President of the association, Mr Jemide Tosan, stated that “The challenges we face as a result of the incessant increase in the prices of baking ingredients have rendered most premium bakeries comatose making us to operate at a loss,”. Tosan also observed that “Whereas the prices of flour, sugar and other baking ingredients had increased threefold in the past three years, there had been no corresponding increase in the prices of premium bread by the PBAN members”. According to him, “Between 2015 and 2018, the price of flour had increased from N6,500 to N11,500 per 50kg bag, while sugar had seen 77 per cent rise in price in the same period, with salt, margarine, yeast and preservatives had recorded 84 per cent, 67 per cent, 112 per cent, 45 per cent and 137 per cent increases, respectively”. “Also, the price of diesel, which is used to power factory generators on a 24-hour basis, had gone up by 57 per cent, while the price of improvers used in enhancing the quality of bread had risen by 160 per cent during the period, BPMAN averred, revealing that “the price of bread had only witnessed 11 per cent rise within the period which according to the group cannot be managed any longer”. Tosan added that “Most of us got loans with double-digit interest rates from financial institutions to fund our bakery projects and are finding it extremely difficult to meet our loan repayment obligations,” and warned that “Something had to be done to save the industry from extinction”. “Given the current situation, most premium bakeries may be forced to embark on a price increase, which will further make bread unaffordable to the common man. “As an association, we are totally committed to ensuring that Nigerians have healthy, quality, affordable and harmless bread on their tables, BPMAN president, Jemide Tosan stressed.